How can you wash a vehicle without H2O? Many car owners can’t wrap their minds around this concept. However, waterless car washing is real and a rising trend. While this is a legitimate form of car washing, we caution motorists to understand the ins and outs of the process. What Is Waterless Car Washing? So, how do you go about cleaning a car without water? Have you ever cleaned wooden furniture using nothing but dusting polish or spray? Waterless car washing works the same way. New technology has resulted in synthetic car sprays that loosen and dissolve particles. Such sprays are available at your local auto shop. Some variants are also further enhanced with ingredients that claim to preserve auto paint and restore headlights. Should You Use Waterless Car Cleaners? Such a product sounds promising. Who wouldn’t want to clean their car without breaking out the bucket and garden hose? Plus, you’re also helping out the environment. Do we recommend them? While we’re open to new breakthroughs, we must exercise caution here. While waterless products may work, they certainly require extensive surface preparation beforehand. Otherwise, you risk scratching the paint. Dust particles and other debris can embed on the car surface and become a permanent fixture on the paint. Unbeknownst to most car owners, these microscopic particles can cause visible nicks. To use waterless products correctly, you have to prepare, protect, and seal the auto paint. Using a waterless product isn’t as simple as just spraying and wiping. Bring your vehicle to Bellingham Detail and Auto Glass for car washing done right. 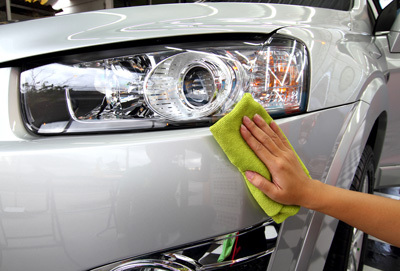 Our car care package provides various washing and detailing offers. Waterless car washes are not a DIY quick fix, so please don’t think that this is a miracle product in any way.